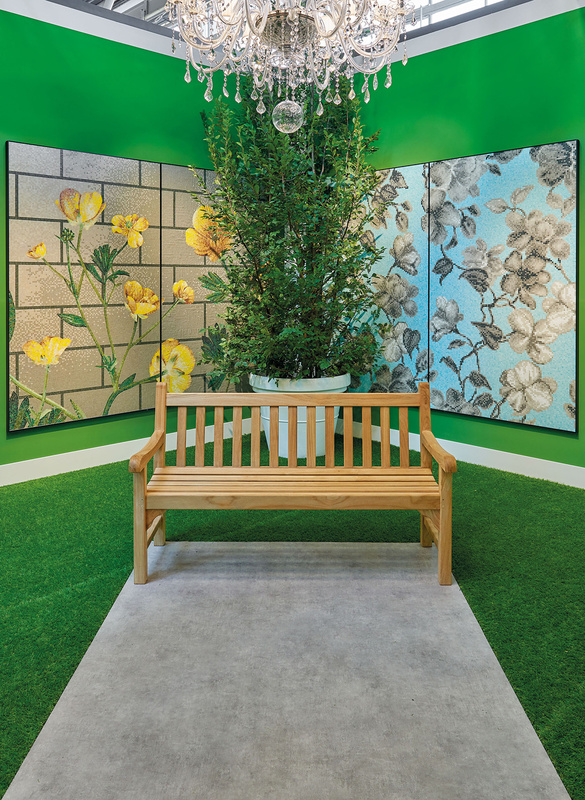 A floral mosaic installation for Cersaie 2018. NENDO, Kiki van Eijk, Tricia Guild, Tord Boontje, Carlo Dal Bianco, Marcel Wanders. 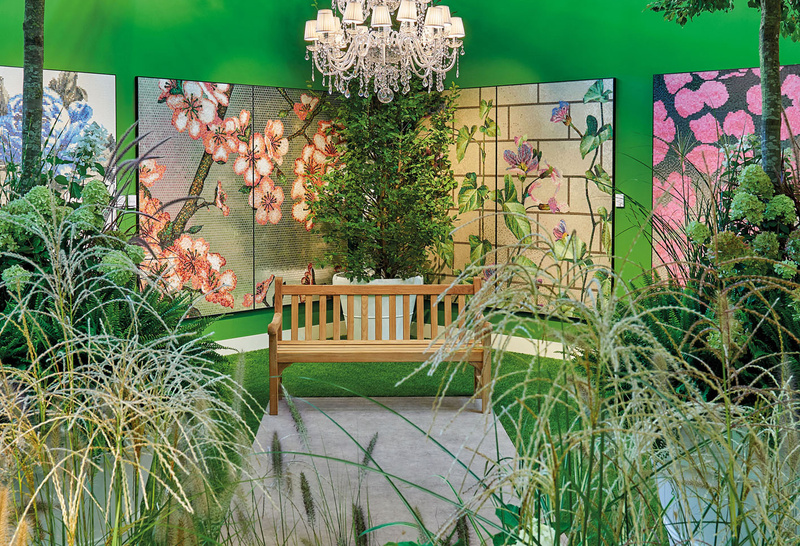 At this year’s leading international show for designer surfaces, Bisazza has transformed a section of the venue into a lush, French-style garden. Abundant trees, hedges and shrubs form the backdrop for twenty nature-inspired mosaic patterns. For many years, Bisazza decorations have included timeless floral motifs, reinterpreted through the ingenious contemporary vision of eminent international designers. On display are some of the company’s most iconic floral patterns – some of them making their debut here in unprecedented colours. Alongside them, a bouquet of brand new designs “blooms” in a profusion of cornflowers, poppies, roses, pansies and tiny wildflowers. With these new patterns, designer Carlo Dal Bianco pays tribute to France, taking as inspiration the beauty and elegance of its most famous gardens, castles and palaces. Other exclusive previews of Bisazza’s 2019 Collection include colorful SWAROVSKI crystals (10x10mm) which add their sparkle to eight new mosaic blends. Eight monochromatic blends from the Bisazza Cementiles collection are also on display, available for the first time in a smaller format (10x10cm).